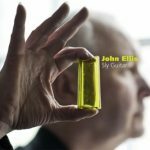 We are looking for labels in Japan, Europe and the USA who would be interested in licensing the music of John Ellis. There are currently 7 albums available. 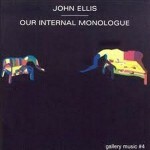 The first of the Gallery series. Music for an exhibition by German artist Moi. Moser. The second of the Gallery series. 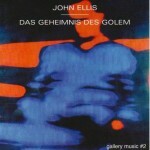 The third of the Gallery series. The fourth of the Gallery series. Music for an exhibition by UK painter artist David Leapman. The fifth of the Gallery series. These 5 CDs are all part of a series of keyboard based electronic instrumentals written as soundtracks to European Art Exhibitions. This is the first of a proposed trilogy of CDs inspired by Japanese Culture. 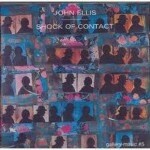 An album of electronic instrumentals. Audition tracks on the Soundcloud player. The first release on Chanoyu Records, this is an album of strange guitar instrumentals. 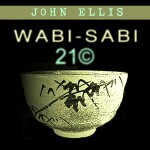 Tracks from Sly Guitar and Wabi Sabi 21© can be heard on the Soundcloud page. Nemo Griffin at Chanoyu Records.